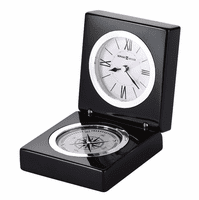 FEATURES/SPECS This unique desktop clock is a perfect gift for that executive that has everything. 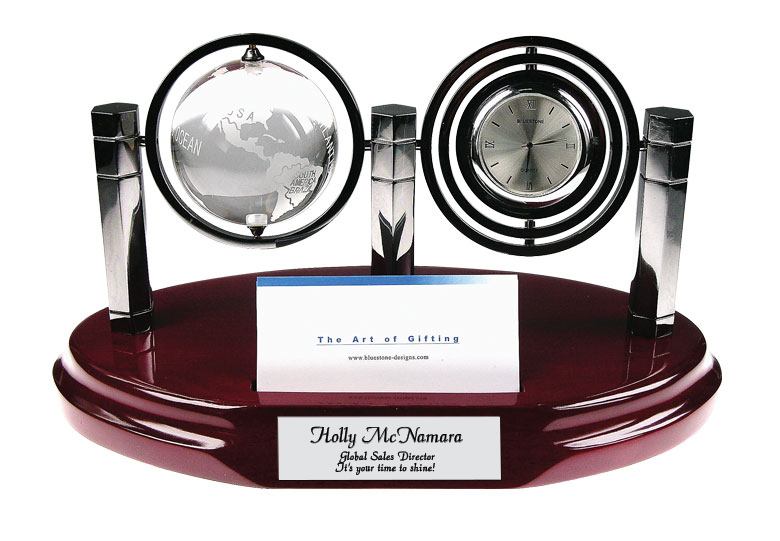 A truly unique piece, it has both a crystal world globe and a quartz clock, both suspended by rotating silver gyro rings. Both are held in place by polished silver pillars mounted to a polished cherry finish wood base. 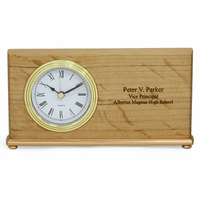 The base has a grooved inset that can hold and display up to ten business cards. 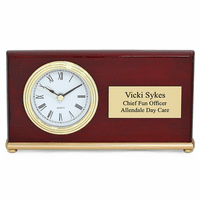 The front of the wood base has a flat area where you can add a laser engraved silver plate free of charge, perfect for a name and job title or short inspiration quote. The bottom of the base has a felt lining to keep desktops scratch-free. Where will the engraving to on the piece? On the front center of the base? If so, what would the recommended font size be? The engraving is done on a silver tone plate mounted on the front of the base. We would recommend a font size of 40 in general, but you can adjust the font size after previewing your engraving, based on how many lines and words you're adding. This is a well made and unique item that will look great in any office. ProsBought it as a gift and they love it! 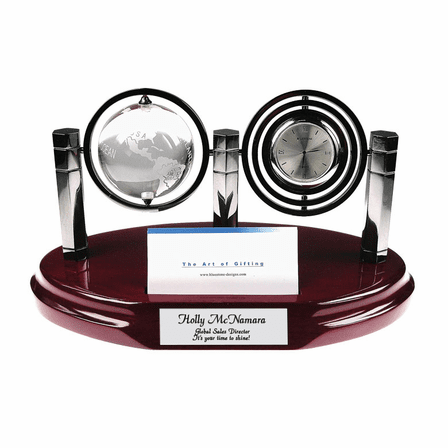 The Crystal Globe Clock is Beautiful!!. We presented the clock to our new company President, and he was very impressed with it the features. Everyone had to stop to admire the clock. It is simply beautiful! !